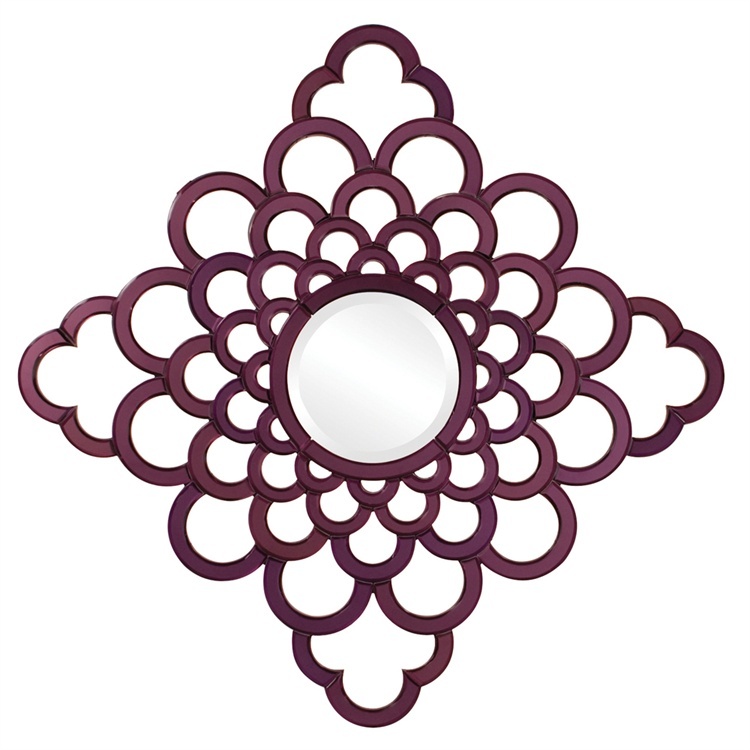 Our Greenwich Mirror features an intricate open work design of scalloped mirrored glass. The glass is colored in the most beautiful amethyst purple. Each mirrored section of the piece has a slight bevel adding to its beauty and style. It is a perfect focal point for any design. Customizable for larger orders.